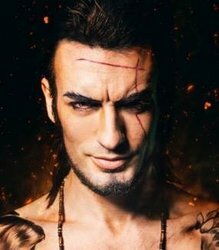 Leon Chiro is an international cosplayer from Italy. He is the official cosplayer for several AAA gaming companies, such as Ubisoft ( Assassin's Creed / Watch Dogs ), Square Enix ( Gladiolus - Final Fantasy XV ), Capcom ( honorary mention for his Dante) and many more. He worked for 20th Century Fox on the Assassin's Creed: The Movie (2016) promotional campaign, stunting and official launch events in Europe. He's also known as one of the most iconic figures in the Assassin's Creed community, since he worked for this company from many years and from 2016 he has officially been recognized as the italian face of Assassin's Creed. Leon Chiro studies at Vigamus Academy in Rome, specializing in Marketing and Digital Communication in Videogames. He has won many international competitions, with a carreer highlight as ECG Italian representative on the European finals in Japan Expo 2016. He has been invited as Special Guest in more than 80 events spanning 28 different countries, by judging a many cosplay competitions and hosting entertaining panels, Q&A and conferences. With an average of 3 events / conventions per month, Leon is also an official collaborator for the biggest video game companies which has placed him in the top list of cosplayers in the worldwide male cosplay community.